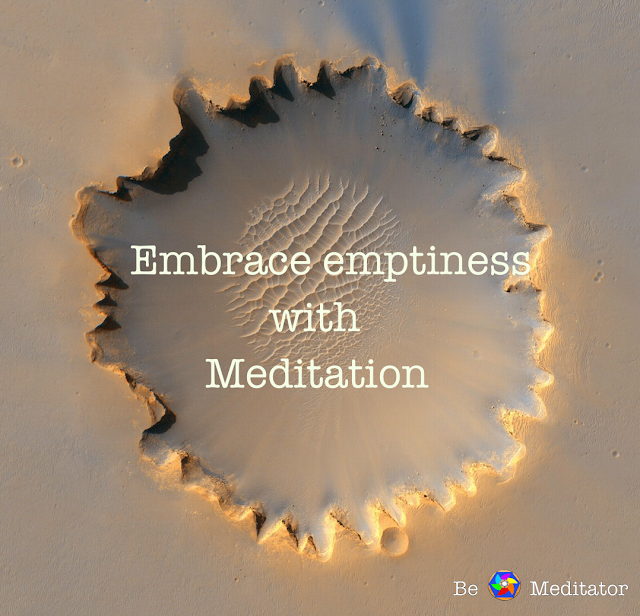 Once a large project or undertaking is over, it is natural to feel empty. It may be after a major goal has been accomplished, or a long journey or a sudden reduction in responsibilities on retirement or when a child leaves for college. In such times, it is natural to feel empty and we generally fill this emptiness by turning to food, television or other substitutes that do not serve us when consumed in excess. If one's meditation practice is strong enough, it is better to sit in meditation. The feeling of emptiness soon passes. Leaving us in the emotional space to pick up a more wholesome next step. Meditation is a long term investment in emotional stability. It takes many years, perhaps life times, but it is worth it. It is a very important skill for human beings.